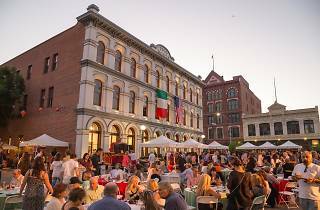 Photograph: Courtesy Taste of Italy Taste of Italy L.A.
Glorious amounts of authentic Italian cuisine will take over DTLA for the eighth-annual Taste of Italy come October 1. If your mouth is already watering from thoughts of Parmigiano-Reggiano, homemade pasta, Napolitano style pizza and flowing red wine, you’re not alone. Scores of the region’s best restaurants (think Valentino, Drago Centro, DiStefano Cheese, Prova Pizzeria, and more) are set to attend, alongside Italian and California-Italian wineries, live entertainment, demonstrations and celebrity guests. Expect live performances from the LA Opera, Jasmine Tommaso Trio with renowned jazz bass player Giovanni Tommaso and others, while "Shotgun Tom" Kelly is the Master of Ceremonies. All proceeds will go towards the Italian American Museum’s exhibitions and the Italian Hall. Tickets for general admission include six food and six wine tastings (swoon), while premiere tickets offer ten food and ten wine tastings, a VIP gift bag and red carpet entrance. 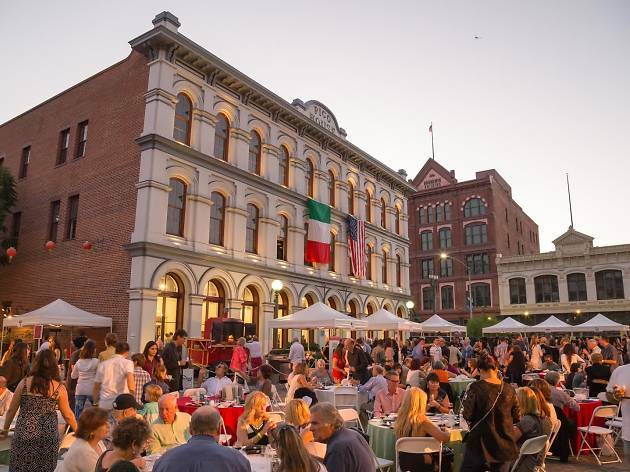 Head to 424 North Main St for this annual Italian grande festa (we suggest wearing loose pants).